Have you ever thought about the natural laws that underpin our world? Governed by sacred geometry, organic patterns are the building blocks that shape our experiences. They show up again and again, begging to be recognized, understood, and utilized for the benefit of mankind. When you know you're in for a stressful day, snacking on a few walnuts may be just the thing to help you handle the pressure. Today, healthy fatty acid deficiency is epidemic. This deficiency leads to cardiovascular and immune issues and other disorders. What do you do if you're HFA deficient? Can The Slow Food Movement Cure The Fast Food Nation? Slow food moves us in a way that fast food can not. We immerse ourselves in the process of making a meal, nourishing ourselves and others, and enjoying the fruits of our labor, and that of the Earth. Could this movement be the cure for the Fast Food Nation? According to a new study in the New England Journal of Medicine, eating a daily handful of nuts may just reduce your risk of death by 20%. Without gaining weight. Two large research reviews by medical scientists have determined that omega-3 fatty acids from plants reduce the incidence of heart disease and heart attacks significantly better than fish oil. 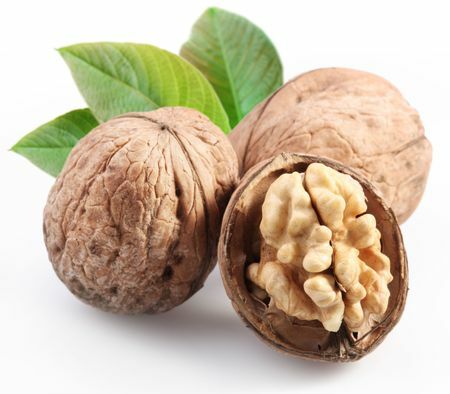 Walnuts benefit your heart, brain, bones and more. Here's why you need to eat more of them. Research from the University of California, Los Angeles (UCLA) has determined that eating 75 grams of walnuts a day for three months increases men's sperm count and fertility. Here are four specific things that you can start addressing today to significantly lower your risk for breast cancer.